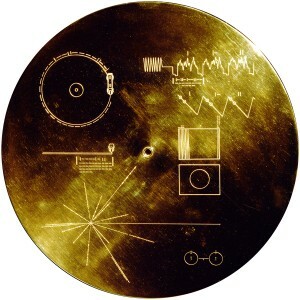 Carl Sagan takes you on a voyage to the Voyager Space Mission and the Golden Record with its message for extraterrestrial life to discover eons from now. The creators of last year’s Fringe favorite “Red Death” invite you to the magical dome of Gottlieb Planetarium where live actors, animation, and outer space collide in a comedic, informative, and unconventional theatrical event. It was written by Bryan Colley and Tara Varney, who also directs, and features Coleman Crenshaw as Carl Sagan. “Voyage to Voyager is unlike anything I’ve ever written,” Colley says. “On the one hand, it’s an educational play that will teach you about the Voyager space mission and its Golden Record full of music and images - exactly the kind of show you might go to a planetarium to see - but it’s also a comedy about producing a show at the Fringe. The real story has Carl Sagan hiring some actors to stage a show about making the record. That way we can look at the Voyager mission from today’s viewpoint, rather than as a play set in 1977. In fact, the play exists in the past, present, and future simultaneously, so it’s not a documentary, but it’s not a conventional drama either. I guess you could call it a metamentary.